Charlie Larson is recognized as one of the leading South Dakota attorneys in the field of workers’ compensation law. Throughout his years with Boyce Law Firm, he has represented dozens of insurers and hundreds of employers in all levels of the court system. Charlie has also helped injured workers navigate their way through the worker’s compensation process. Charlie is passionate about the clients he represents. He prides himself on understanding the client and their expectations and works hard every day to exceed those expectations. Charlie is originally from Harrisburg, South Dakota. He attended Southwest Minnesota State University for his undergraduate degree, and the University of Nebraska School of Law. He is married with three children, who keep him busy day and night. He is a avid sports fan and loves watching and participating in anything competitive. Charlie loves the practice of law, primarily because of the people he works with. He has devoted himself to the workers’ compensation field since he began practicing in 2005. 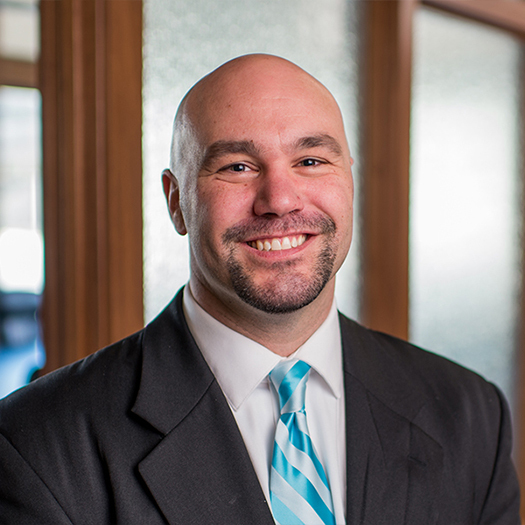 He is proud of how successful the workers’ compensation practice has become at Boyce Law Firm, and credits the success to being responsive to people and doing great work. He tries to meet with his clients at least once a year as the best way to develop the trust necessary to successfully work with someone is to sit down face to face and get to know them. While some days are better than others, he cannot imagine doing anything else. Charlie has represented hundreds of employers since 2005. He has had many hearings, and more than a dozen South Dakota Supreme Court rulings. While many cases settle, he is not afraid of taking a claim to hearing. With that said, he understands that many clients are better served by reducing the risk and exposure involved with continued litigation. Charlie’s goal is to continue to grow the workers’ compensation practice area, and he’s committed to serving his clients. • Petrik v. JJ Concrete, Inc.
• Milbrandt v. Bibb’s, Inc.
• Hayes v. Rosenbaum Signs & Outdoor Advertising, Inc.
• Whitesell v. Rapid Soft Water & Spas, Inc.
• Schuelke v. Belle Fourche Irrigation Dist. • Jewett v. Real Tuff, Inc.
• Thurman v. Zandstra Const. • McNeil v. Superior Siding, Inc.
Charlie has presented on workers’ compensation issues all over the country. He has presented from groups as small as a few people to as large as hundreds of people. Charlie has presented on local and national issues, and especially enjoys presenting to clients because he enjoys getting know his clients and understanding who they are and what their needs are. Charlie is always looking for a reason to get out of the office so if you are needing anything from South Dakota WC 101 to something more in-depth, he’s happy to help.